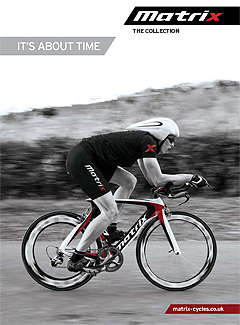 Matrix Cycles, designers and developers of the highest quality bike frames, wheels and components have now arrived in the UK and Ireland…….and it’s about time! We offer a combination of modern design with robust, quality, strong materials such as Carbon and Aluminium, to ensure that all of our products meet the demanding requirements of today’s cyclist. Our range of frames and wheels has been specifically designed to cater for all genres of cyclists, offering Road Bikes, Time Trial Bikes, Triathlon Bikes and Mountain bikes. 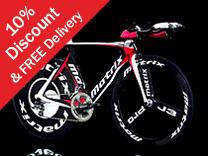 As well as modern, robust designs, we at Matrix also believe that our bikes offer the best value for money….but don’t take our word for it, have a look around the website and see for yourself. 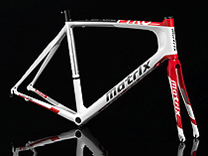 Matrix Cycles make bike frames to accommodate road, time trial, triathlon, track and mountain bike enthusiasts as well as the urban and countryside commuter. Strength, lightness, innovation and attention to detail are the cornerstones of our philosophy and resound throughout the diverse range. 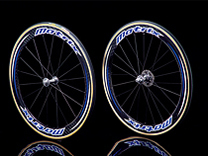 The Matrix range of road and MTB wheels has been developed and tested using cutting edge technology and painstaking attention to detail. With strong emphasis on lightness, stiffness and gyratory proficiency Matrix wheels have been proved leaders in their class, at every level, time and again. To receive our periodic newsletter simply complete the form below.